Today, there are a lot of ongoing debates that consider copper, fiber and wireless to be mortal enemies. For premises cabling markets, fiber and copper were having a war for desktop supremacy, while wireless quietly developed its technologies and took over, offering mobility to a tethered workforce. In the outside world, wireless had little competition. Of course, you are certainly not going to drive around dragging a patch cord for your phone! 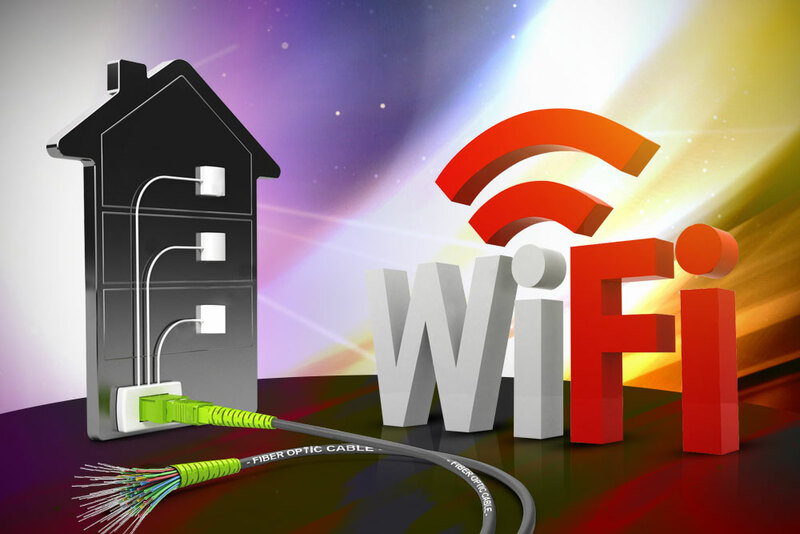 But even the non-mobile users, such as houses and small businesses, are being bombarded with news that wireless services can provide the same gigabit connectivity as fiber, which we all know as fastest, and G.fast, which is the 23rd iteration of digital over copper. Accredited fiber optic technicians and certified fiber optic trainers caught in the middle of this controversy know how these networks are really built and they understand what the real situation is. The three technologies coexist; in fact they are co-dependent. Wireless is not actually wireless. Wireless only replaces the final connection to the personal device the user carries. That device connects to an antenna. Those antennas are connected to the communications backbone that relies on copper or fiber cables. In 40 years of fiber’s use in telecommunications, fiber has continued to replace the other communications media, first in the backbone, then in metro/distribution and now to the home. Copper is the “third man out” in this trio, as much by age as technical capability. The trade press is filled with articles that say wireless provides gigabit services just like fiber at lower cost. Is this real? Is it a reaction to the painful stories of problems building fiber networks encountered by some newbie service providers trying to open new markets? Is it crucial that the FOA is talking to several wireless Internet service providers right now who are running out of bandwidth (frequencies) and are looking at building fiber networks? Competition between technologies is quite healthy. It inspires technological upgrades that provide better products and services at lower prices. The fiber-copper competition is actually great for users. Fiber is cheaper and faster, copper’s lifetime was extended by decades, although it seems to be finally reaching its limits (G.fast and Cat 8 may be the final iterations.) Wireless is, likewise, benefiting from the competition with fiber. Both Wi-Fi and cellular mobile keep getting faster and more affordable. Facebook is spearheading the “Open Cellular” project for wireless following the spectacular success of its “Open Compute Project” for data centers. (FOA NL 7-8/16) Cellular is past LTE, aiming at 5G and whatever it takes to provide the bandwidth for video on mobile devices. For us members of the fiber optic industry, we have no problem with wireless. We know that providing wireless services requires a high-capacity backbone that can only be built with fiber optic. And we’re encouraged that the wireless advocates have been doing some research and development to look at how to build that backbone more efficiently. We love our smartphones just as much as the rest of the world, but we wonder if those advocating using wireless instead of fiber just might be novices lost in a new turf.